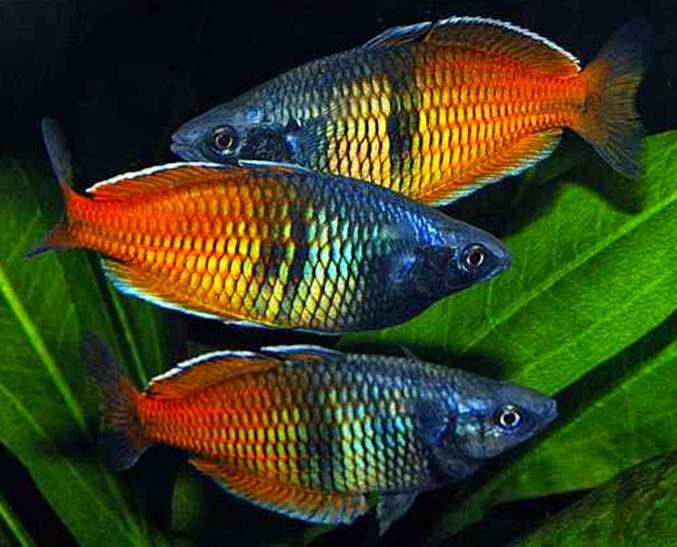 Boeseman's rainbow fish is the popular rainbow community fish in aquarium trade and readily available. Boeseman's rainbow fish is a beautiful fish with deep metalic blue front half and orange or red shaded with yellow highlights in the back half. Males are bright colored and larger than females. 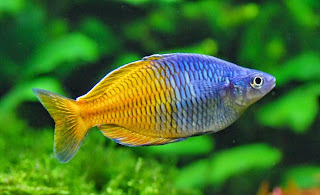 And has longer dorsal fins when compared to females.